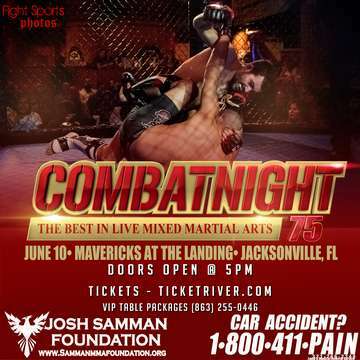 Combat Night Comes to Mavericks at the Landing on June 10 with 14 action packed fights for the first time in 2017. We have 3 title fights lined up and 6 advanced fights. If you have any questions or are interested in sponsoring the event email, Chamale@CombatNight.com. For special accommodations or more information call, 863-255-0446.